Mr Selden's Map of China by Timothy Brook. 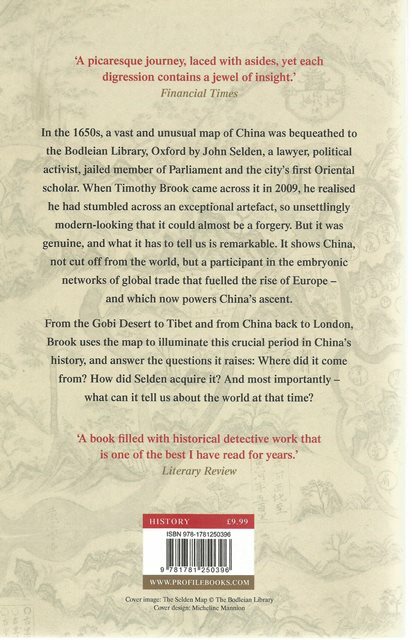 In 1659, a vast and unusual map of China arrived in the Bodleian Library, Oxford. It was bequeathed by John Selden, a London business lawyer, political activist, former convict, MP and the city's first Orientalist scholar. Largely ignored, it remained in the bowels of the library, until called up by an inquisitive reader. When Timothy Brook saw it in 2009, he realised that the Selden Map was 'a puzzle that had to be solved': an exceptional artefact, so unsettlingly modern-looking it could almost be a forgery. But it was genuine, and what it has to tell us is astonishing. It shows China, not cut off from the world, but a participant in the embryonic networks of global trade that fuelled the rise of Europe - and which now power China's ascent. And it raises as many question as it answers: how did John Selden acquire it? Where did it come from? Who re-imagined the world in this way? And most importantly - what can it tell us about the world at that time? Brook, like a cartographic detective, has provided answers - including a surprising last-minute revelation of authorship. 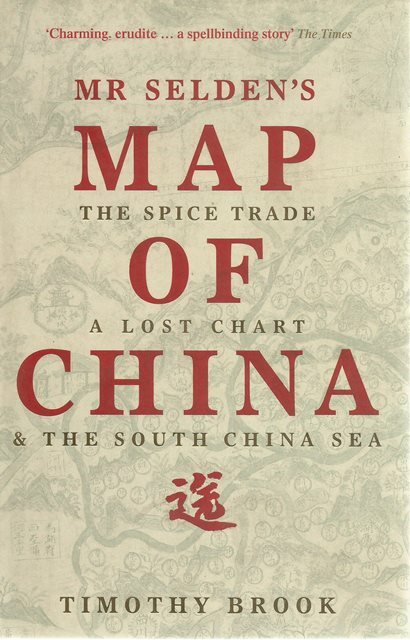 From the Gobi Desert to the Philippines, from Java to Tibet and into China itself, Brook uses the map (actually a schematic representation of China's relation to astrological heaven) to tease out the varied elements that defined this crucial period in China's history.